There's a place in every carrier's line up for a mid-range phone, and that's what the Sprint Vital is. We got the early details on this device back in March when it was known as the ZTE Quantum, and the official announcement jives with the leak pretty well. This phone has a few notable features, but the hardware is a bit lackluster. The Sprint Vital will be available on June 14th online and in stores. It might not be the best device, but it's a fairly affordable LTE handset. On the plus side, the software looks close to stock. A 13MP camera also has some potential (maybe). Full PR is below. Great news for budget-conscious customers: Sprint is about to launch a powerful smartphone that doesn’t sacrifice performance or high-end capabilities for less than $100. Sprint Vital™ packs many of today’s must-have features, including the latest version of Android™. Priced at just $99.99 with a new line or eligible upgrade, two-year service agreement and $50 mail-in rebate (excluding taxes), Sprint Vital comes with the high-end features ever customer wants. It is available beginning Friday, June 14th, in all Sprint sales channels, including Sprint Stores, 1-800-SPRINT1, Web Sales, and Business Sales. 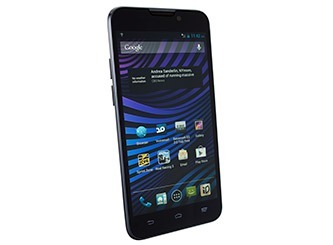 Built on Android 4.1.2, Jelly Bean, Sprint Vital comes with a 1.5GHz dual-core processor, 13-megapixel rear-facing camera with LED flash and video capture, 1-megapixel frontfacing camera and Sprint 4G LTE for surfing the Web at lightning-fast speeds. Sprint Vital is also geared for gamers with a large 5-inch HD 1280 x 720 IPS display with break-resistant LCD and a 2,500 mAh removable lithium-ion battery that offers up to 15 hours talk time. To help take advantage of the built-in gaming capabilities, it comes preloaded with EA Mobile’s Real Racing 3, offering trailblazing features, including officially licensed tracks, an expanded 22-car grid, and more than 45 meticulously detailed cars from makers like Porsche, Lamborghini, Dodge, Bugatti and Audi. Racing with friends gets kicked into another dimension with the reality-bending Time Shifted Multiplayer™ (TSM) technology. 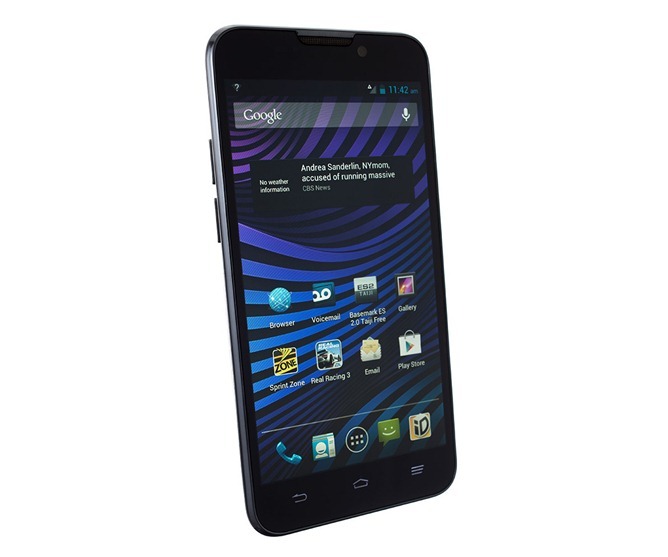 Sprint Vital also keeps the Android experience closer to the way it was intended. This allows more freedom to customize your Android experience and enables enhanced performance with less clutter that could slow it down. It is equipped with eco-friendly attributes, including Underwriters Laboratory Environment (ULE) Platinum Certification, the highest level of environmental performance recognized by sustainable requirements established by ULE and Sprint, and packaging that is 98 percent recyclable.